Mikael B's newest body of art work"Momentum"
Mikael B can’t think back to a time where he wasn’t making art. His earliest memories included a pen in one hand and piece of paper in another while growing up in a small country town in Denmark. With the support of his parents and friends a young Mikael grew to challenge himself in taking on new art forms the older he became. 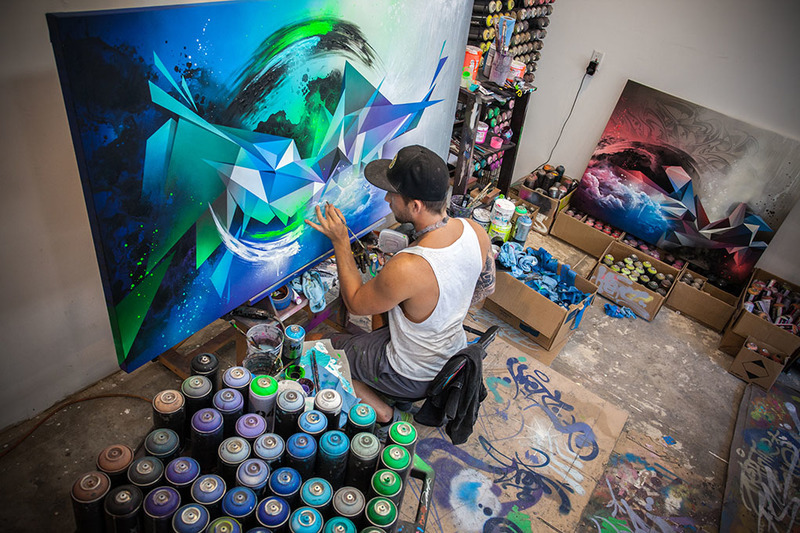 “The first time I grabbed a spray can I was 15 years old,” Mikael recalls. “It was back in 1999 and I was totally obsessed with the graffiti and hip hop culture, I was seeing all the graffiti and text on buildings around me – especially wild style graffiti.” With an overflowing imagination to inspire him and his parents support, Mikael went from tagging up makeshift walls in his backyard, to watching his friends line up at school for tattoo designs, to his school administration allowing him to paint walls in an after-school space – it seemed his destiny was laid out before him. But with all origin stories, Mikael’s included a season of discovery to be able to make it to where he is today. After high school he decided on stint in the military for 6 months. From there his mother suggested spending 5 months at an intensive design school which sent him on a course towards graphic design and animation. He said, “I couldn’t quite put a finger on what I wanted to do just yet; all I knew is what I didn’t want – I was still searching.” After spending a few years in design school he landed a rare apprenticeship that launched him into the client world he hadn’t experienced before. And what started out as a school project quickly developed into a design agency of his own. Along with a friend from school and eventually his twin brother, Morten Brandrup, they decided to build their business around the principals they held dear. Mikael felt as if he was on par with what he truly loved – creating visuals, logos and designs for companies to communicate and attract interested audiences. Something just wasn’t right though. After years of hard work and determination clients saw Mikael and his company as a great asset. This project turned success that they all had built was incredible but maybe not sustaining Mikael creatively. He was still doing art on the side, but the demands of client needs and the constant pressure to only do what the client desired was getting to him. “I was convinced that I wanted to build the biggest design agency in Denmark,” he explained. “But after some years I could feel that this wasn’t feeding my creativity enough. There were too many rules and I was feeling locked in. I wanted to be free and create whatever I wanted.” His pivot came up gradually. He had been working on a large Scandinavian styled typographic design of a world map to place in his home. 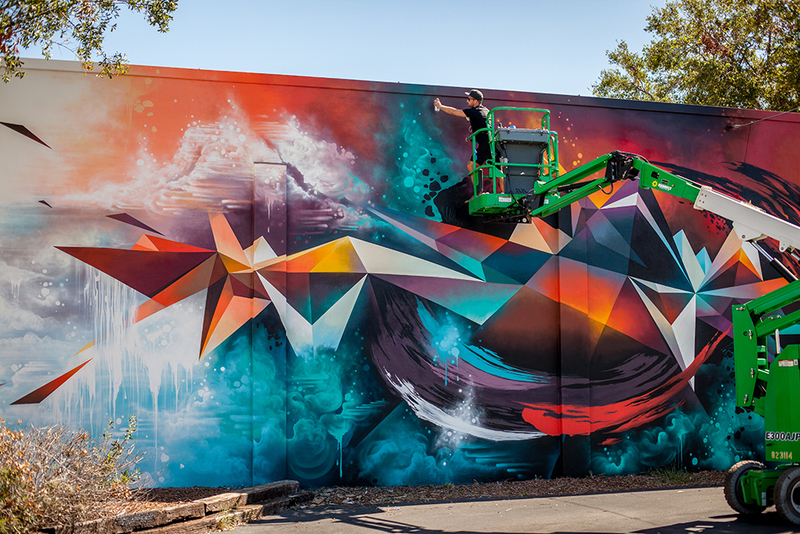 Upon seeing the finished piece his brother was astounded and begged to put it online. After seeing success from selling the piece through the agency’s website Mikael knew he had hit on something special. Slowly everything took a turn, Mikael had his sights set on Los Angeles because he couldn’t get the vibe and community out of his mind after a trip in 2012. In a year, he had sold his design company, and was going back and forth to LA on an artist visa. 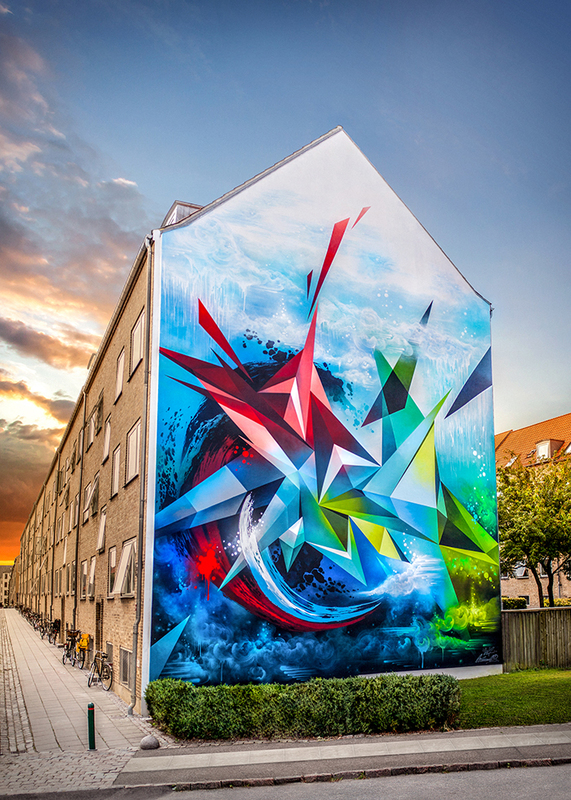 “A move out here seemed impossible, but I was seeing how urban art worked out here and I knew I could do it too,” Mikael explained. The first two years he was by himself working in Hollywood while Morten helped to grow the new business up in Denmark and online. “I managed to come up with one of the most famous world maps, something truly different and abstract,” Mikael remembers. “I got to see it go viral after putting it on Facebook and everything happened so quickly after that.” He had his first solo show in 2015 at the Project Gallery in Santa Monica. Meanwhile, both Denmark and Los Angeles were cheering him on and he finally felt like he was in the right place at the right time. “I think in a lot of ways I belonged over here (Los Angeles), I think that’s why I feel this as my home,” he said. “And I can see that my art, my personality and my way of thinking changed so much after moving over here. It’s like I was set free. But, I love Denmark and I have deep relationships and connections there so it’s a good contrast and good combination because it’s so diverse and completely different worlds. It gives me energy.” He began working on huge commission jobs and submissions to Nike, LinkedIn, American Express and Google. All of which he landed within the same four month period. His largest solo show happened last year in Denmark, all of which was documented on Danish television. Most recently Mikael had the fantastic opportunity to work with Juxtapoz co-founder, Gregorio Escalante and did a solo show with him in July of 2017, which brings us to today.